Please find below details of recent Wills & Probate vacancies registered with Ten-Percent Legal Recruitment. VAC 14199 - Firm in the New Forest on the Hampshire/Dorset border have a vacancy for a Private Client Solicitor or Legal Executive. Caseload will be the full range of Wills, probate, estate administration and elderly/vulnerable client issues. The ideal candidate will be highly personable. Salary levels are market rate and there are excellent prospects in place for partnership/heading up the department. Firm are based 20 miles from Southampton. This is a replacement vacancy. VAC 14194 - Berkshire firm, Reading area are looking for a private client lawyer. they have a vacancy for a full-time permanent private client solicitor or legal executive or body with requisite experience (e.g. ex bank/investment etc). The role involves Will drafting, tax and estate planning and probate including the completion of IHT forms etc. They need at least 3 years PQE preferably 5 and the candidate must be good with direct client contact. STEP membership or willingness to qualify would be ideal. Salary dependent on experience. Firm are based about 5 mins from the M4. Replacement vacancy. Salary indicated from about £40,000 upwards, negotiable. VAC 14102 - North Yorkshire - Thirsk. Small-medium sized 2 office well established market town practice with offices in North Yorkshire looking for a solicitor with expertise (and ideally supervisory experience) in Private Client (wills, probate and trusts) and Property as well as excellent interpersonal and communication skills (will consider a specialist). An early partnership opportunity is available for the right candidate. This firm will consider equity partnership within 12 months for the right person. VAC 14150 - West London firm - looking for wills & probate solicitor to join - junior level. This firm have a contract with us for direct applications, so if interested please let us know and we will forward a CV straight through to the senior partner concerned. VAC 14141 - Peterborough - Legal 500 practice - potentially still on the look out for a senior wills & probate solicitor. VAC 14139 - Mansfield, possibly Belper. Legal 500 practice. Legal executive or solicitor sought to join a team. Expansion post. VAC 14136 - Chelmsford - Well established Chelmsford Firm have a vacancy for a senior Wills & Probate Solicitor. PQE must be 6 years upwards and STEP membership would be an advantage. VAC 14131 - Dawlish - Wills & Probate Solicitor sought by company based in Dawlish, Devon. NQ or trainees are not suitable, but any other level of PQE considered. Role will involve developing a small team to meet planned expansion. Experience of Wills, Probate, Trusts and Court of Protection are essential. VAC 14118 - Hertford - Wills & Probate, Tax & Trusts solicitor sought by Hertford firm, looking for an experienced solicitor to help run and develop the Trust, Wills & Probate department. Must have at least 3+ year PQE, the post will mainly be Trust and wills, with some Probate work. VAC 14048 - Kings Lynn - Legal 500 practice - A firm based in East Anglia (North Norfolk) are looking for a wills & probate lawyer to join their busy team. The practice is medium sized, Legal 500, with a range of clients. Well established, this is an opportunity to join an existing team as it expands. The firm are wanting to look at all options, and will consider legal executives and solicitors at varying levels. They are in a position of being able to be quite flexible around the structure of their team. Salary levels are dependent on experience. We also have firms indicating potential vacancies across the UK. The next step if you are interested in any of these vacancies will be for us to identify the firm to you and get a CV through to the senior partner, together with any further details. Notice periods and salary levels are always helpful at this stage. If you have any questions regarding this vacancy please feel free to email them through. We now run a referral scheme giving you the opportunity to receive up to £400 in John Lewis vouchers, depending on the vacancy. If you know someone who is suitable and interested in this role and they successfully join the Firm we will give you £400 in John Lewis vouchers. Please ask them to contact us with your details and their CV to be considered for the role. 120 000 Solicitors in the UK? Thats a fact? There are 120,000 solicitors in the UK... For years during career coaching, careers talks and general work I have used the figure of about 105,000 and never did I expect to see that the figure had risen to 120,000, particularly in recent years with the recession, many thousands of redundancies, the near collapse of legal recruitment (see the back of the gazette for the last few years to see the lack of business in 2008-2010). 1. This is the number of solicitors on the Roll. I am on the Roll, but not practising since 2003. 3. Solicitors who have left the profession but like the status (I confess to being one of these!). The Law Society Gazette article last week made it look as if this was a terrible problem but I am not sure it is. There remains a lack of solicitors with experience within a particular level, both salary and age/experience and it is this level that has always been the recruitment pool. Anyone else is either moving out of it or towards it, but not everyone gets there. I think that newly qualified solicitors will continue to find it difficult to get a post and should try to stay with their existing firm wherever possible, but the 120,000 figure is definitely a red herring. What do you think will bring about the end of the world? 1. It is a very good way of finding out strongly held religious or personal beliefs - eg you are person with strongly held environmental beliefs who thinks the human race is going to destroy the planet. 2. Good to see if you can think quickly on your feet. 3. Can weed out anyone overtly pessimistic who will be able to give a lot of detail to it rather than thinking positively. 4. Whether in fact you think the world is going to end or continue quite happily for many years to come. It is a very Human Resources like question! 1. 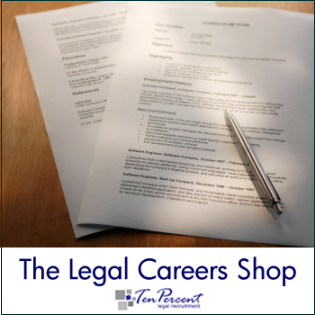 The job market is going to heat up, with demand particularly strong for experienced career paralegals, support staff and legal cashiers. The reason for this is that a lot of firms are starting to realise that they do not necessarily need to recruit solicitors to undertake fairly straightforward transactional work and instead can get paralegals and unqualified executives for a lot less money. 2. As this happens, salary levels are going to stay low for solicitors. I do not see any improvement on salaries within the next 2-3 years. 3. The majority of experienced unemployed non-qualified fee earners will find work very quickly, and as this happens more firms will then grudgingly give up on looking around for cheaper options and move back into recruiting solicitors again. 4. We think that by the middle of 2011 legal recruitment will be at similar levels to 2007-2008 and a lot of firms will be struggling to recruit good quality candidates in most areas, apart from NQs in and around the South East and London. 5. The Legal Services Commission changes will continue to affect legal aid fields, but we still expect to see a very busy period in April and October when the duty solicitor rota deadlines come up. 6. On the commercial side it will remain fairly busy but only at 2-7 years PQE. Anything too junior and too senior is not going to attract very much interest. Happy New Year! Jonathan Fagan, MD Ten-Percent Legal Recruitment.